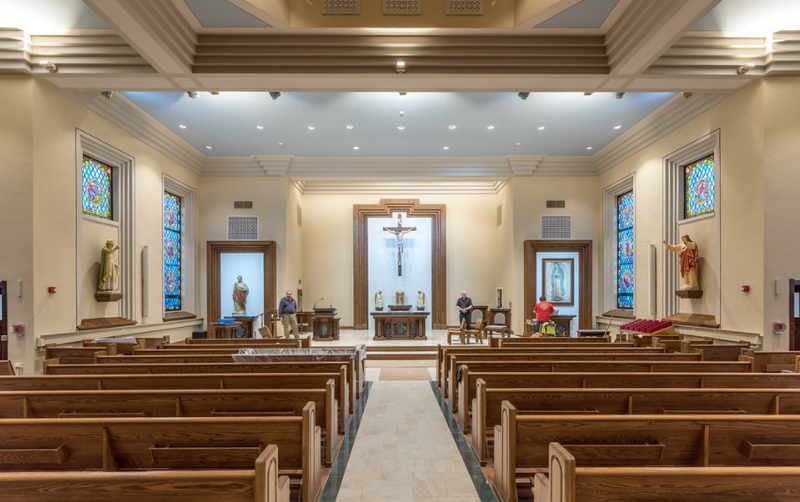 St. Patrick’s Church renovation in St. Charles has been completed! 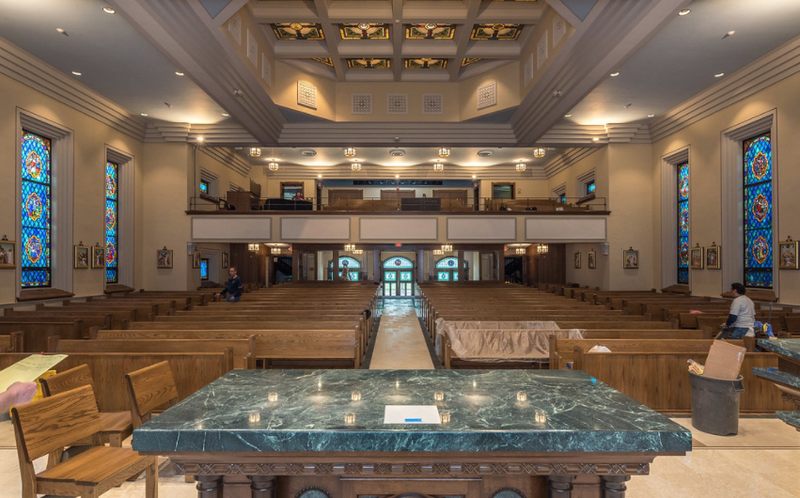 Big thanks to all parties who helped this project along the way and we are so glad to have helped the St. Patrick’s Catholic Community with their new Church space! 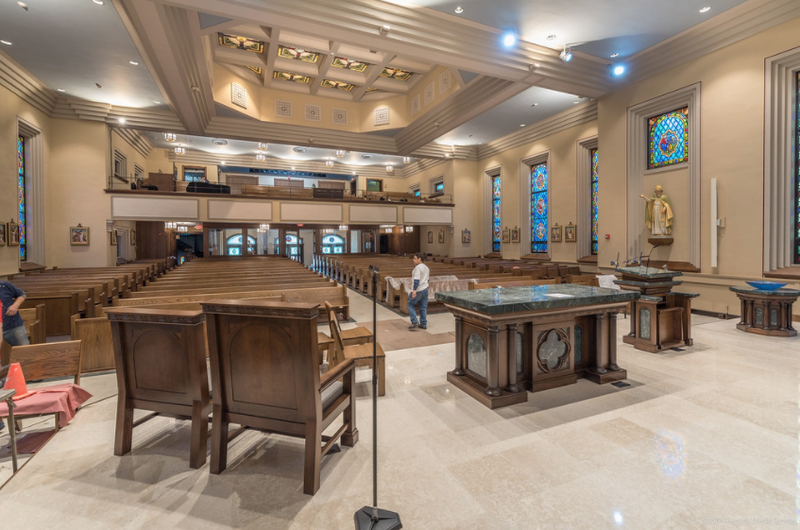 Daprato Rigali workers logged many hours performing many different tasks and trades. We restored many of the stained glass windows throughout the nave so that they will last for many generations to come. We completely demolished and re-designed a new vestibule with high-quality wood and glazing system. 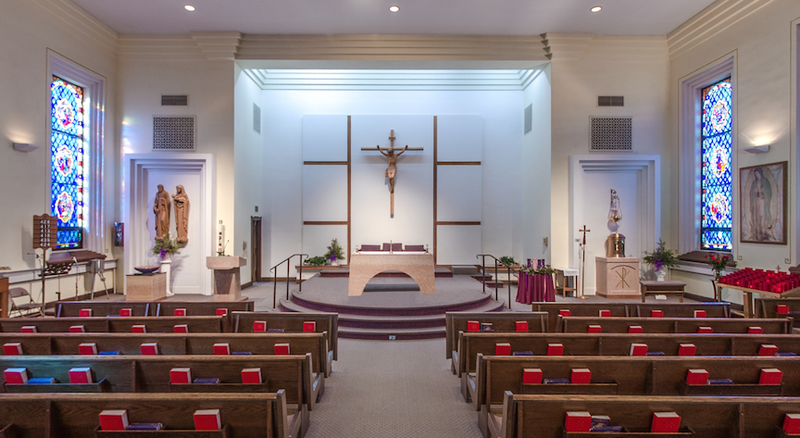 We designed and fabricated all new furnishings; expanded and re-designed the entire sanctuary; installed new flooring throughout; as well as much more. Please find several pictures of the renovation below! 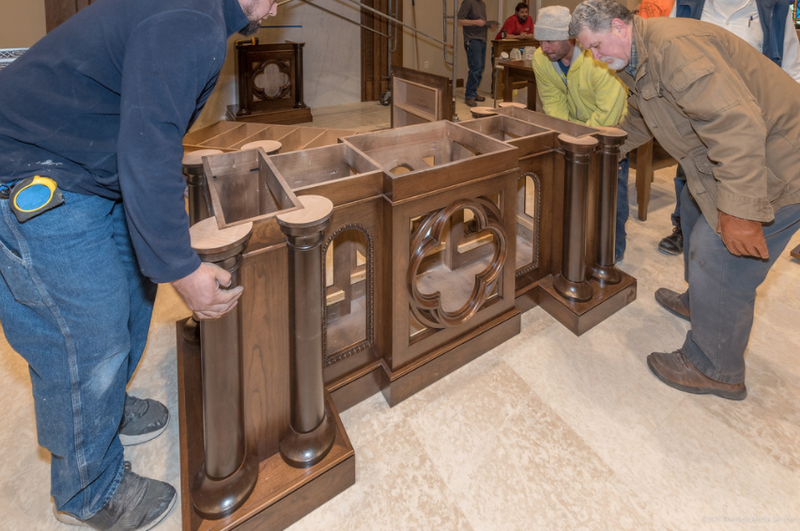 The team putting together the main Altar for the Sanctuary. 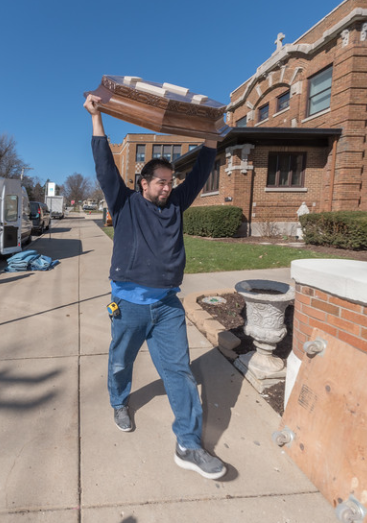 Daprato Rigali employee Ruben carrying in the Baptismal Font Top. A view from the Sanctuary looking back into the Nave of the Church. 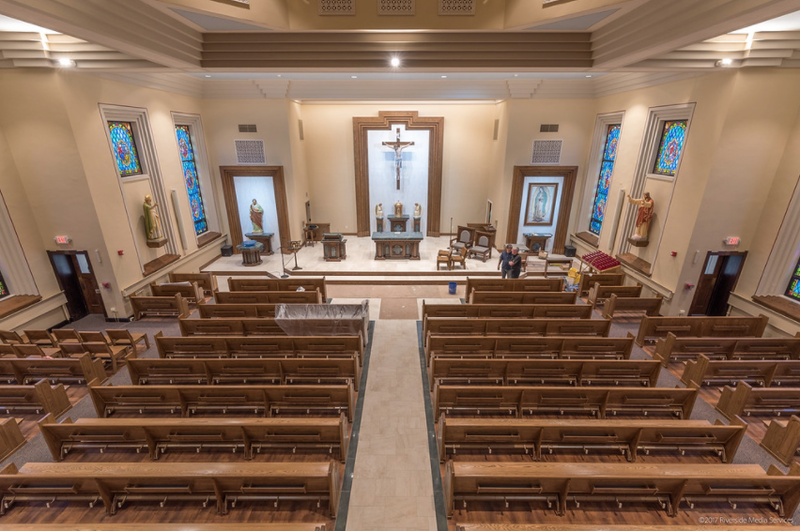 Another view of the completed renovation looking back from the Sanctuary.